As Çevre College, we have invited Prof. Dr. Canan Karatay to share her ideas with our students about the indispensable importance of balanced and healthy nutrition. It is our mission to raise healthy generations. Therefore, we commenced our healthy and balanced nutrition conferences with Dr. Karatay. The conference, which took place with the participation of 5th, 6th, 9th and 9th grade students, attracted great interest of our students. The conference was broadcast live on the internet in all classes. Canan Karatay, Professor of Internal Medicine and Cardiology, shared with our students the importance of eating the right foods, the illnesses caused by malnutrition, what foods sportspeople should eat and refrain from. 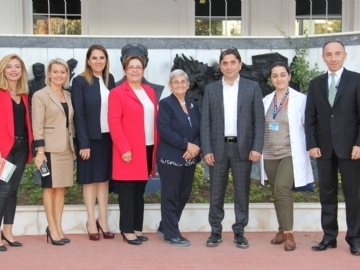 After the question-and-answer session held at the end of the conference, Karatay stated that she appreciated Çevre College’s effort in giving importance to children’s healthy diet and should be an example to all schools.